1. 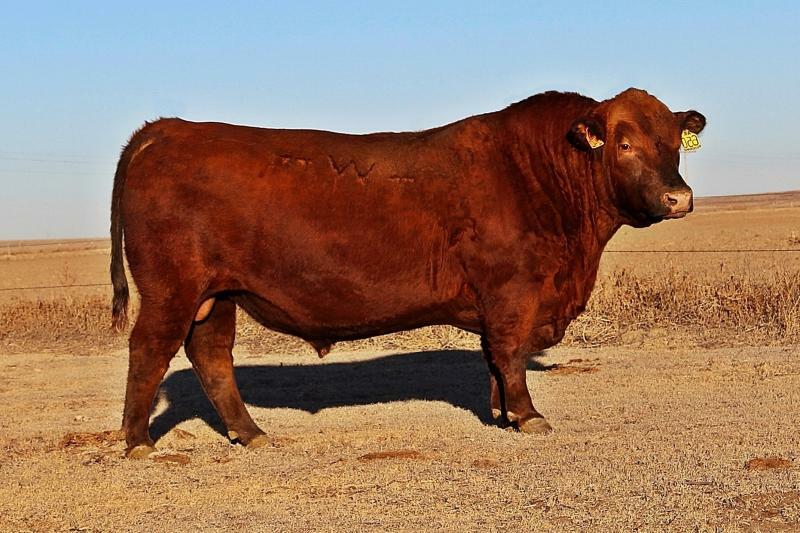 A calving ease bull with exceptional growth,thickness and muscle. 2. He is moderate framed, easy fleshing, solid footed with excellent structure and an easy going disposition. 3. He maintains his body condition even in the harshest enviroments.